My loom was feeling neglected, so in an effort to actually use some of my handspun I grabbed a commercial superwash sock yarn of long-forgotten origin for the warp and spun up a beautiful colorway named Vincent’s Sunflowers from Kitty Mine Crafts into a thick and thin single for the weft. 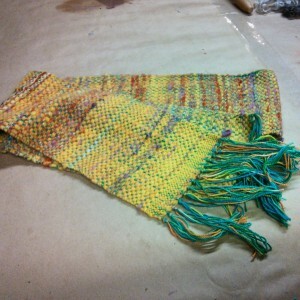 The result is the above basketweave scarf. I’m mostly happy with it, the selvedges still need a LOT work, and I forgot to do 1″ of plain weave on the finished end, but it’s soft and warm – and my goal for this coming year is not perfection. My background in textiles gets me so wrapped up in analyzing things that are wrong that I forget the simple joy of doing something just because it makes you happy. 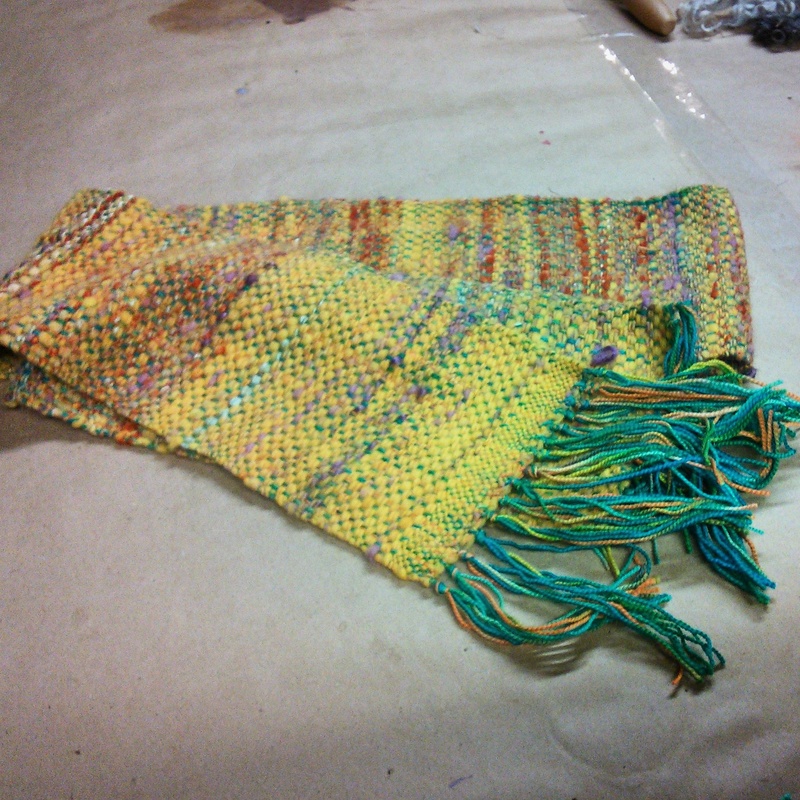 By forcing myself to complete a project quickly (I think this went from batt to warp to loom in 4days) I spend more time doing and less thinking, which, for an over-analytical librarian, is a very good thing.